Time for a bathroom makeover? Need to freshen up your bathroom? DJS Plumbing & Drainage can help. Our team provide a professional and reliable service throughout all stages of your bathroom or laundry renovation. All work is completed to Australian standards. When it comes to bathroom renovations in Paddington, we can assist you with all your needs. Whether updating your tap ware, installing a bathroom heater, an outdated toilet or an entire bathroom renovation, DJS Plumbing & Drainage can get the job done at affordable prices. We can assist with as much of the process as you require, from the initial designs and product recommendations, right through to the installation. We carry out jobs of any size, whether it’s a smaller bathroom repair, like installing new tap-ware, or something larger like re-tiling or a complete renovation of all fixtures and fittings. We have the tools and the experience in renovating separate toilets, complete bathrooms and wet areas as well as providing general plumbing solutions. Give your bathroom that wow factor that you have been wanting, at an affordable price. Call Dave on 0413 123 831. If you’re looking to renovate your old bathroom or considering of adding a laundry area, give us a call and we will get in touch with you to discuss your renovation requirements. They are highly experienced in all areas of bathroom & laundry renovations, providing you with a hassle-free service from start to finish. 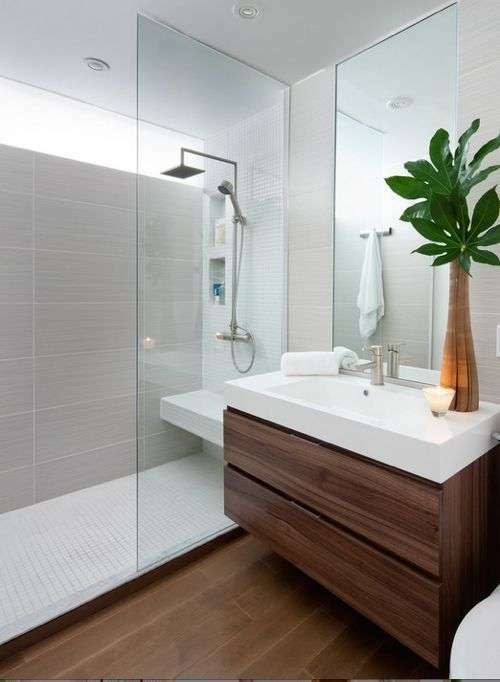 DJS Plumbing & Drainage can transform your bathroom area with not only our plumbing and gas expertise, but also our extensive experience in bathroom renovations. You can give your bathroom that appealing look that you have been dreaming of, at an affordable price.